Piri Reis is a well known Ottoman-Turkish admiral, geographer and cartographer from the 16th century. His famous world map compiled in 1513 and discovered in 1929 at Topkapi Palace in Istanbul is the oldest known Turkish map showing the New World, and one of the oldest maps of America still in existence. The half of the map which survives shows the western coasts of Europe and North Africa and the coast of Brazil with reasonable accuracy in addition to various Atlantic islands including the Azores and Canary Islands. This article presents the achievements of Piri Reis in cartography through the analysis of the surviving partial versions of his two world maps and his book of navigation, the Kitab-i Bahriye. This article was published on MuslimHeritage.com in July 2002. It is republished with revisions and new illustrations. Copyright: © FSTC Limited, 2002-2010. 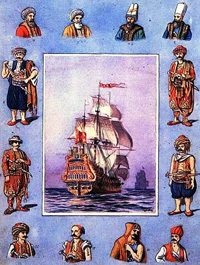 The Ottoman navy is famous for its military glory from around the late 11th century to the 18th century at least. The geographical extent of its action extended from the most further western parts of the Mediterranean to the Indian Ocean and the Straight of Hormuz. The achievements of the Ottomans are related to their contribution to the wider subject of geography and nautical science. This aspect, however, is little known. Until recently, historians were mostly preoccupied with unravelling the dramatic story of the geographical discoveries and oceanic voyages undertaken from the late 15th century. However, several scholarly works have been published recently that shed light on the contribution of Ottoman scholars to the development of cartography, geography and nautical science. Special attention was given to Ottoman maps, whether they be the charts of the Mediterranean or world maps, especially those designed by Pirei Reis. 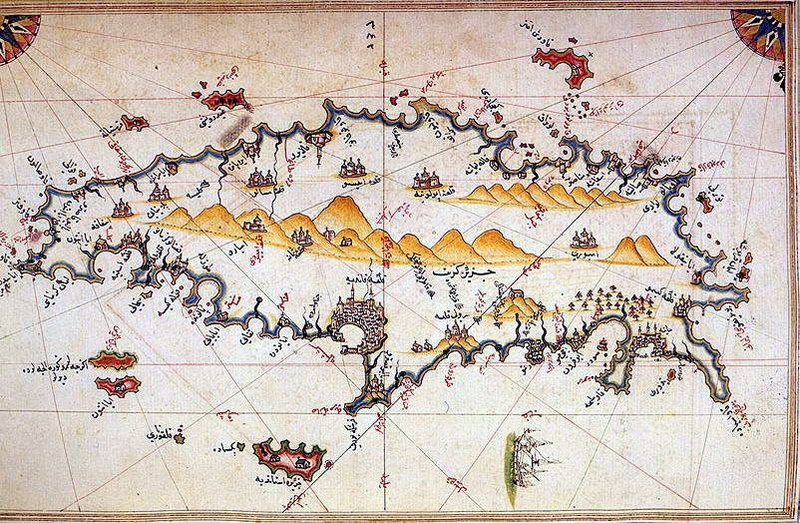 The amazing advance of Turkish nautical science and cartography in the 16th century is well documented by experts. Hess notes that when Piri Reis presented his famous map of the New World to the Sultan Selim I in 1517, he provided the Ottomans, well before many European rulers, with an accurate description of America as well as details about the circumnavigation of Africa. A year later, Salman Reis added to that. Goodrich, in a pioneering work, also went a long way to correct the overall impression, giving excellent accounts of the Ottoman descriptions of the New World as it was then being discovered in all its strangeness, variety and richness. 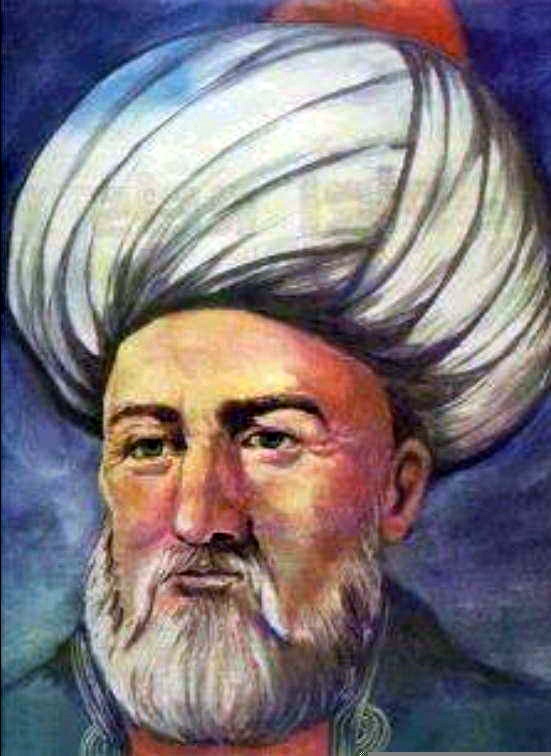 The full name of Piri Reis is Hadji Muhiddin Piri Ibn Hadji Mehmed. He was called Reis for his excellence as a naval captain (from the Arabic ra'îs al-bahr, ra'îs al-markab, ra'îs or rayis for captain). He was born between 1465 and 1470 in Gallipoli on the Aegean coast of Turkey and he died in 1554 or 1555. Before he became the famous Ottoman-Turkish admiral, geographer and cartographer, Piri Reis had begun his maritime career toward the end of the 15th century, under the command of his uncle Kemal Reis, a well-known seafarer of the time. He fought many naval battles alongside his uncle, and later also served under Khaireddin Barbarossa. He participated in many years of fighting against the Spanish, Genoese and Venetian navies, including the First Battle of Lepanto (Battle of Zonchio) in 1499 and Second Battle of Lepanto (Battle of Modon) in 1500. Eventually, he led the Ottoman fleet fighting the Portuguese in the Red Sea and Indian Ocean. In between these military actions, and after the death of his uncle Kemal Reis in 1511, Piri Reis returned to Gallipoli to devise a first world map in 1513. 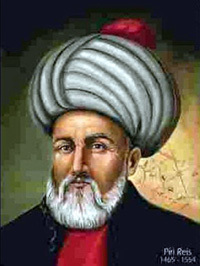 He then composed the two versions of his book Kitab-i Bahriye in 1521 and 1525. Afterwards, he designed and drew his second world map in 1528-29. Mystery surrounds his long silence from 1528 until his reappearance in the mid 16th century as a captain of the Ottoman fleet in the Red Sea and the Indian Ocean. 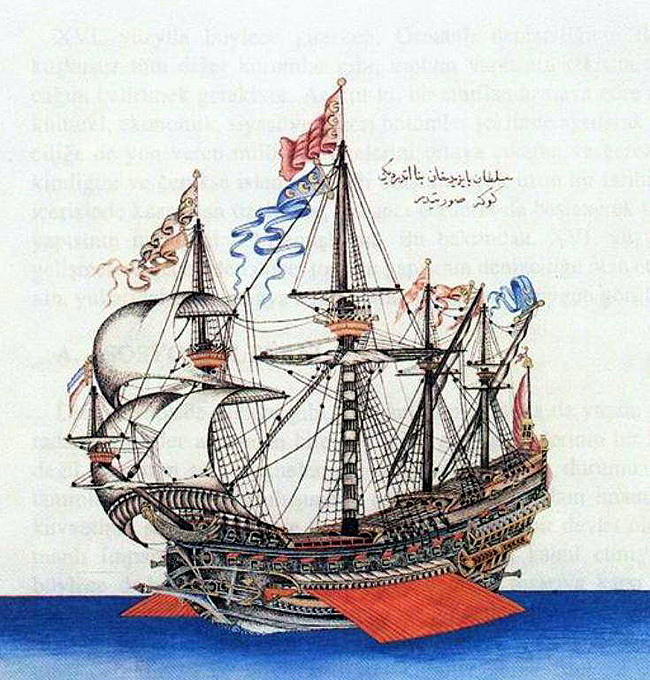 By 1516, Piri Reis was serving as a ship's captain in the Ottoman fleet. 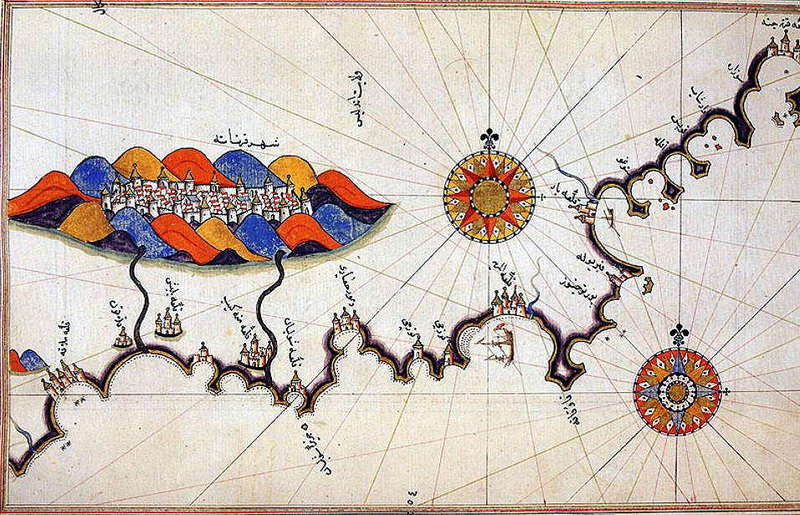 He took part in the 1516-17 campaign against Egypt, and in 1517 was able to show his world map to Sultan Selim I. After having completed his Kitab-i Bahriye in 1521, he participated in the following year to the siege of Rhodes against the Knights of St. John which ended with the island's surrender to the Ottomans on 25 December 1522 and the permanent departure of the Knights from Rhodes. In 1524 he captained the ship that took the Ottoman Grand Vizier Makbul Ibrahim Pasha to Egypt. Following the Vizier's advice, he edited his book of navigation and was able to present it to Sultan Suleiman the Magnificent in 1525. Three years later he presented his second world map to the Sultan. By 1547, Piri Reis had risen to the rank of Reis (admiral) and was in command of the Ottoman fleet in the Indian Ocean and admiral of the fleet in Egypt, with its headquarters at Suez. On 26 February 1548 he recaptured Aden from the Portuguese, followed in 1552 by the capture of Muscat, which Portugal had occupied since 1507, and the important island of Kish. Turning further east, Piri Reis captured the island of Hormuz in the Strait of Hormuz, at the entrance of the Persian Gulf. When the Portuguese turned their attention to the Arabian Gulf, Piri Reis occupied the Qatar peninsula and the island of Bahrain to deprive the Portuguese of suitable bases on the Arabian coast. Piri Reis is primarily known today for his world maps and charts collected in his Kitab-i Bahriye (Book of Navigation). But since their discovery, his two world maps have aroused an interest that continues to expand in both popular culture and in scholarly circles. There are two maps, and they are extant only in part. A fragment of the first world map prepared in 1513 was discovered in 1929 at the Topkapi Palace in Istanbul. It is signed by Piri Reis, and dated Muharram 919 (9 March-7 April 1513). It is only part of the world map which the author presented to the Sultan Selim I in Cairo in the year 1517. Fig. 3a: Two views of the surviving fragment of the first World Map of Piri Reis held at the Topkapi Museum in Istanbul. Drawn in 1513, it is the oldest known map which includes the continent of America. Only half of the original map survives (Source). Fig. 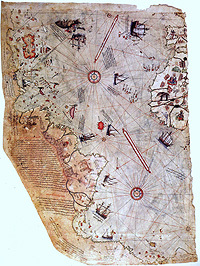 3b: The map, which is drawn on parchment in colour, presented to Selim I in Cairo in 1517. 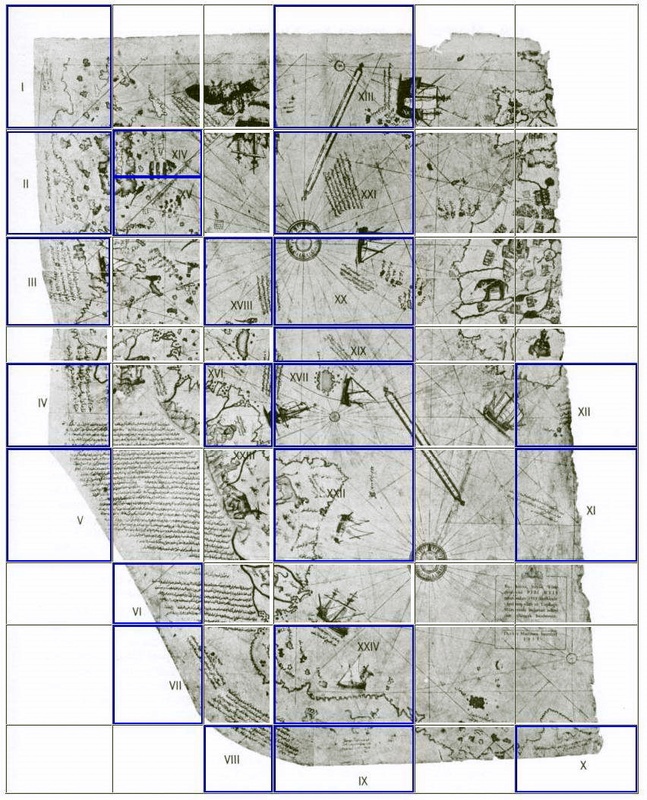 It synthesizes information from twenty maps, including one drawn by Christopher Columbus of the New World (Source). The most surprising aspect was the presence of the Americas on an Ottoman map. It is the oldest known Turkish map showing the New World, and one of the oldest maps of America still in existence in the world. The oldest known map of America still in existence is the map drawn by Juan de la Cosa in 1500, which is conserved in the Naval Museum of Madrid. The map of 1513 was based on some 20 older maps and charts which Piri Reis had collected, including charts personally designed by Christopher Columbus which his uncle Kemal Reis had obtained in 1501 after capturing seven Spanish ships off the coast of Valencia in Spain with several of Columbus' crewmen on board. The most striking characteristic of this map drawn is the level of accuracy in the positioning of the continents (particularly the relationship between Africa and South America) which was unparalleled for its time. Even maps drawn decades later did not have such accurate positioning and proportions; a quality which can be observed in other maps of Piri Reis in his Kitab-i Bahriye. 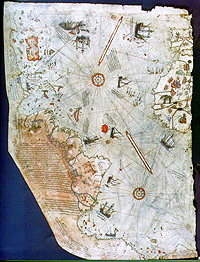 Piri Reis' map is centered in the Sahara at the latitude of the Tropic of Cancer. The surviving fragment of the first world map of Piri Reis drawn in 1513 is the oldest known map which includes the continent of America. The map shows part of Europe and the west coast of Africa, eastern, central and south America, the Atlantic islands, and the ocean. A great deal of detail is given of South America. 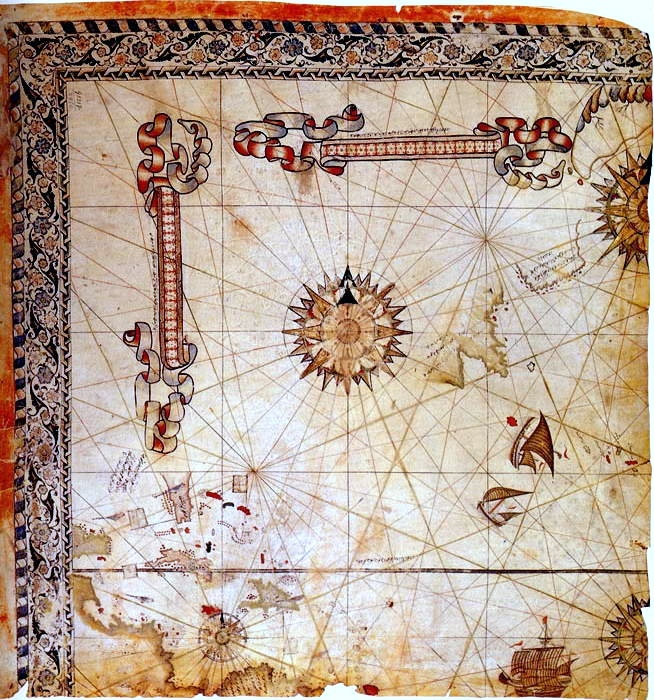 The format of the map is that of a portolan chart, a common form at this time. Instead of latitude and longitude grids, compass roses were placed at key points with azimuths radiating from them. The east-west lines through the small rose off South America in the center of the map are a very good approximation to the Equator, both there and with respect to Africa. The small one at the very top of the map is a very good estimation of 45 north where the east-west azimuth hits the coast of France. The two big compass roses in mid-Atlantic are harder to place. They might locate the tropic lines (23-1/2 north and south) or they could represent 22-1/2 latitude (one-fourth of the way from equator to pole). Considering they are a bit closer to 45 degrees than the equator, the tropic lines are the most likely. 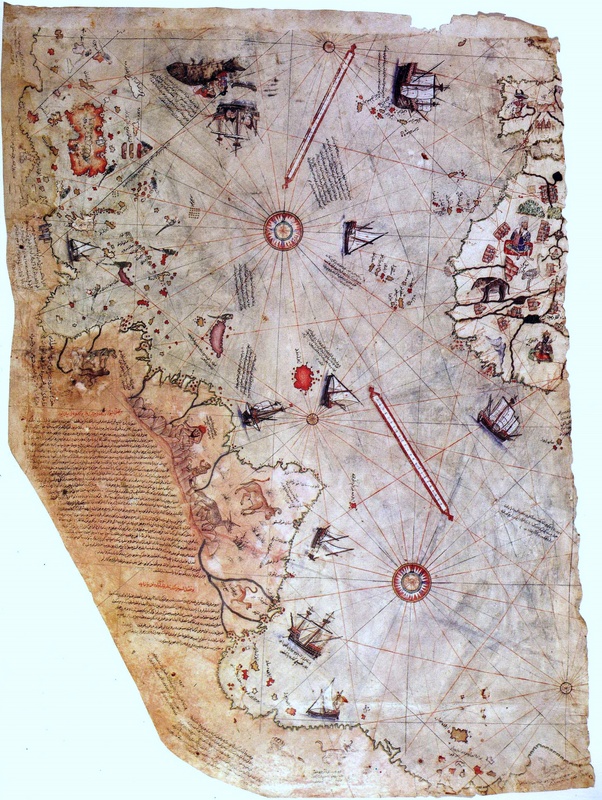 Piri Reis' world map dating from 1513 shows the Atlantic with the adjacent coasts of Europe, Africa and the New World. The second one dating from 1528-29, of which about one sixth has survived, covers the north western part of the Atlantic including the southern tip of Greenland, North America from Labrador and Newfoundland in the north to Florida, Cuba and parts of Central America; and in the south it shows the region from Venezuela to Newfoundland. 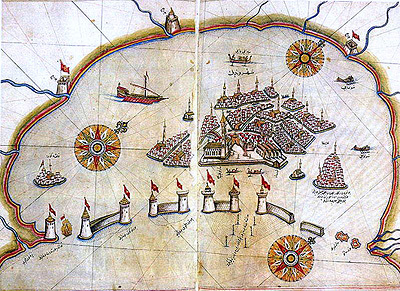 The German scholar Paul Kahle had made a thorough analysis and description of Piri Reis' maps. 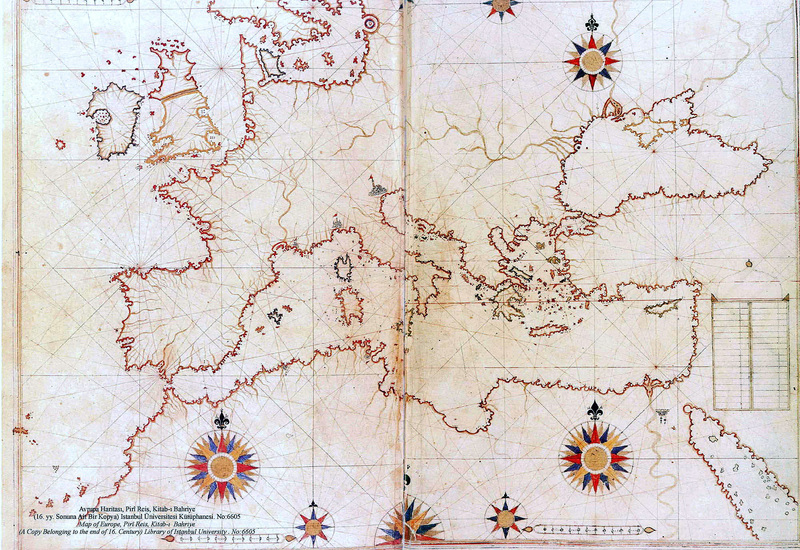 He observed that Piri Reis was an excellent and reliable cartographer. Kahle also points out that the whole picture of Columbus has been distorted, as nearly all the important documents related to him, and in particular his ship‘s journal, have been preserved not in their original but in abstracts and edited works, mostly by Bishop Las Casas. Long after Kahle, in the mid 1960s, Hapgood returned to the subject of the Topkapi map. Amazed by the richness of the map, he attributed it to an advanced civilization dating from the ice age. On the basis of Piri Reis maps, Charles Hapgood argued that these maps preserved knowledge of unknown civilizations. Hapgood used numerous archival maps, to argue that they show a vast southern continent roughly similar to Antarctica in shape. He proposed that a 15 degree pole shift occurred approximately 11.600 years ago, and that a part of the Antarctic was ice-free at that time. Hapgood's position seems now to verge on the ridiculous, not just for its exuberant assertions, and his stretching of evidence into the realm of fiction, but also in view of recent works on the history of mapping. The recent voluminous work by Harley and Woodward, by far the best on the subject, shows in rich detail, the meritorious role of Muslim cartography and nautical science. 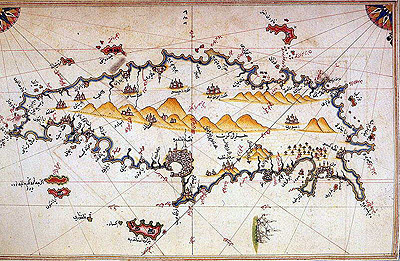 As for Kahle's original find, one regret he expresses was that the fragment found in the Topkapi Museum was the only one from an original map, which included the Seven seas (Mediterranean, India, Persia, East Africa, the Atlantic Ocean, and the Red Sea), that is the world in its vastness, and at a very early date. The search for the other parts has remained fruitless. Kitab-i Bahriye (Book of Navigation) of Piri Reis is one of the most famous pre-modern books of navigation. It contains detailed information on navigation as well as extremely accurate charts describing the important ports and cities of the Mediterranean Sea. Rich with detailed information on the major ports, bays, gulfs, capes, peninsulas, islands, straits and safe anchorages of the Mediterranean Sea, it is full as well of techniques of navigation and navigation-related information on astronomy. The book also includes information about the local people of each country and city, and the curious aspects of their culture. The book was originally written between 1511 and 1521, but it was revised with additional information and better-crafted charts between 1524 and 1525 in order to be presented as a gift to the Ottoman Sultan Suleiman the Magnificent. 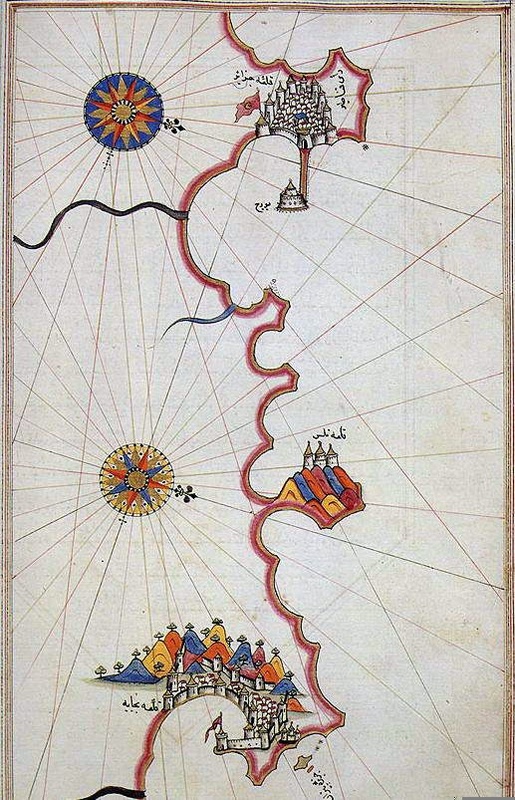 Piri Reis drew these charts during his travels around the Mediterranean Sea with his uncle Kemal Reis. The revised edition of 1525 has a total of 434 pages and contains 290 maps. Kitab-i Bahriye has two main sections. The first section is dedicated to information about the types of storms, techniques of using a compass, portolan charts with detailed information on ports and coastlines, methods of finding direction using the stars, characteristics of the major oceans and the lands around them. Special emphasis is given to the discoveries in the New World by Christopher Columbus and those of Vasco da Gama and the other Portuguese seamen on their way to India and the rest of Asia. 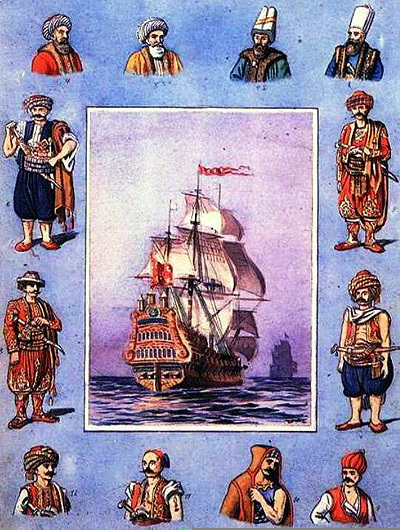 Figure 5: An Ottoman kalyon, a war ship and naval army personnel. (Source: click on Resimler in the left hand menu). See Idris Bostan: Ottoman Maritime Arsenals and Shipbuilding Technology in the 16th and 17th Centuries (January 2007; read also FSTC: introduction to the article). The second section is entirely composed of portolan charts and cruise guides. Each topic contains the map of an island or coastline. In the first book (1521), this section has a total of 132 portolan charts, while the second book (1525) has a total of 210 portolan charts. The second section starts with the description of the Dardanelles Strait and continues with the islands and coastlines of the Aegean Sea, Ionian Sea, Adriatic Sea, Tyrrhenian Sea, Ligurian Sea, the French Riviera, the Balearic Islands, the coasts of Spain, the Strait of Gibraltar, the Canary Islands, the coasts of North Africa, Egypt and the River Nile, the Levant and the coastline of Anatolia. This section also includes descriptions and drawings of the famous monuments and buildings in every city, as well as biographic information about Piri Reis who also explains the reasons why he preferred to collect these charts in a book instead of drawing a single map, which would not be able to display so much information and detail. Copies of the Kitab-i Bahriye are found in many libraries and museums around the world. Copies of the first edition (1521) are found in the Topkapi Palace, the Nuruosmaniye Library and the Süleymaniye Library in Istanbul, the Library of the University of Bologna, the National Library of Vienna, the State Library of Dresden, the National Library of France in Paris, the British Museum in London, the Bodleian Library in Oxford and the Walters Art Museum in Baltimore. Copies of the second edition (1525) are found in the Topkapi Palace, the Köprülüzade Fazil Ahmed Pasa Library, the Süleymaniye Library and the National Library of France. 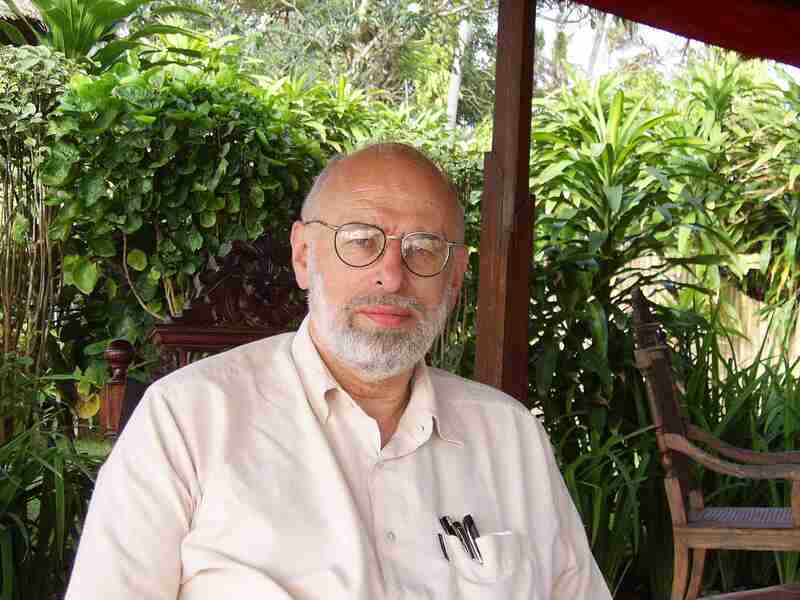 Paul Kahle pioneered the study of the Kitab-i Bahriye to which he devoted a book in two volumes. His version is in German only, but there have been some very good contributions to the subject by Soucek. Mantran also made a contribution, looking at the Kitab-i Bahriye's description of the coasts of Algeria, Egypt, Tunisia and France. Esin made a good study of the Tunisian coast but on this latter country, it is Soucek‘s account which is the most satisfactory. There are also Italian contributions by Bausani devoted to the Italian coast, and of specific parts of it, the Venetian coast, the Adriatic and Trieste. The Indian Ocean, too, is a subject of interest. The Turkish Ministry of Culture and Tourism has recently (1988-91) published the book in four volumes. It includes a colour facsimile of the original manuscript, each page being a transliteration of the Turkish text into the Latin alphabet, a translation into modern Turkish, and one into English. Kitab-i Bahriye has also aroused the interest of archaeologists, geographers, historians and linguists. As mentioned above, there are two versions of the Kitab. The first dates from 1521 and the second from five years later. There are many differences between the two. The first was primarily aimed at sailors, the second, on the other hand, was rather more a piece of luxury, which Piri Reis offered as a gift to the Sultan. It was embellished with craft designs, its maps drawn by master calligraphers and painters, and was seen even by wealthy Ottomans of the 16th century as an outstanding example of bookmaking. For a century or more, manuscript copies were produced, tending to become ever more luxurious, prized items for collectors and gifts for important people. Its luxury aspect apart, the expanded version of the book also gives good descriptions of matters of maritime interest such as storms, the compass, portolan charts, astronomical navigation, the world‘s oceans, and the lands surrounding them. Interestingly it also refers to the European voyages of discovery, including the Portuguese entry into the Indian Ocean and Columbus‘s discovery of the New World. This version also includes two hundred and nineteen detailed charts of the Mediterranean and Aegean seas, and another three of the Marmara Sea without text. • Bologna, the University Library, Marsili collection, MS 3612. • Vienna, Nationalbibliothek, MS HO192. • Dresden, Staatbibliothek, MS Eb 389. • Paris, Bibliothèque nationale de France, MS Suppl. turc 220. • London, British Museum, MS Oriental 4131. • Oxford, Bodleian library, MS Orville X infra. • USA, part of a private collection held at the Walters Art gallery of Baltimore, MS W658. • Istanbul, Topkapi Sarayi Library, MS Hazine 642. • Istanbul, Library Koprulu Zade Fazil Ahmad Pasha, MS 171. • Istanbul, Suleymaniye Library, MS Aya Sofya 3161. • Paris Bibliothèque nationale de France, MS Suppl. turc 956. Kitab-i Bahriye, translated by Hess as Book of Sea Lore, is what is commonly known as a portolan, namely a manual of nautical instructions for sailors, to give them a good knowledge of the Mediterranean coast, islands, passes, straits and bays, where to shelter in the face of perils at sea and how to approach ports, anchor, and also to provide sailors with directions, and precise distances between places. According to Goodrich, it is the only full portolan of the Mediterranean and Aegean Seas ever produced. The document is the culmination both in text and in charts of over two hundred years of development by Mediterranean mariners and scholars. Brice observes that Kitab-i Bahriye provides "the fullest set known to us of the kind of large scale detailed surveys of segments of coast which, by means of joining overlaps and reduction to a standard scale, were used as the basis for the standard Mediterranean Portolan outline. 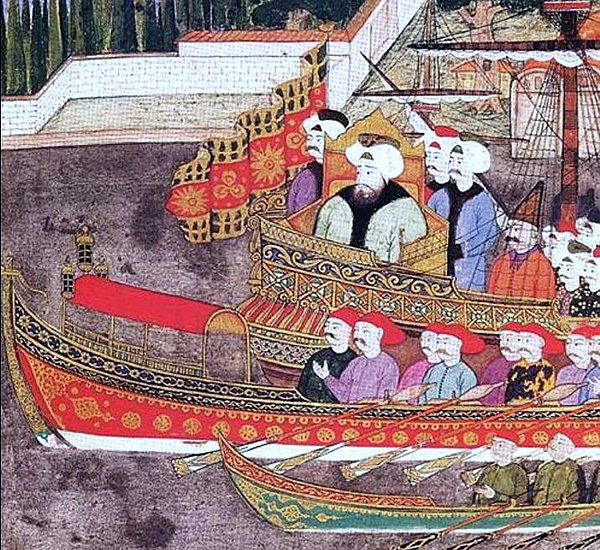 Figure 7: Painting of Sultan Ahmed III and Ottoman bastardas (small war galleys) in Surname-i Vehbi the Imperial Festival Book commissioned in 1720 by Sultan Ahmed III; it was documented by Vehbi whilst the illustrations were made by Levni and his assistants. (Source). "God has not granted the possibility of mentioning all the aforementioned things (i.e cultivated and ruined places, harbours and waters around the shores and islands of the Mediterranean, and the reefs and shoals in the water) in a map since, when all is said and done, [a map] is a summary. Therefore experts in this science have drawn up what they call a 'chart' with a pair of compasses according to a scale of miles, and it is written directly on to a parchment. Therefore only three points can fit into a space of ten miles, and there are places of less than ten miles. On this reckoning only nine points will fit into a space of thirty miles. It is therefore impossible to include on the map a number of symbols, such as those showing cultivated and derelict places, harbours and waters, reefs and shoals in the sea, on what side of the aforementioned harbours they occur, for which winds the harbours are suitable and for which they are contrary, how many vessels they will contain and so on. "If anyone objects by saying "is it not possible to put it on several parchments? ", the answer is that the parchments would become so big as to be impossible to use on board ship. For this reason, cartographers draw on a parchment a map, which they can use for broad stretches of coast and large islands. But in confined spaces they will use a pilot." 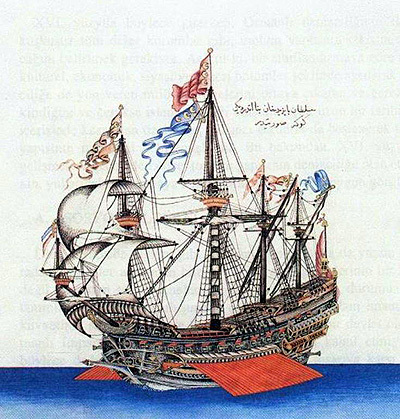 Figure 8: Exquisite drawing of a Goke, an Ottoman war ship. Miniature taken from Katip Celebi's manuscript Tuhfetü 'l-kibar (Topkapi Palace Library, MS R1192). (Source: click on Resimler in the left hand menu). And whilst Piri Reis notes that his Kitab-i Bahriye will supply enough good detail to obviate the need for a pilot, this passage also shows his familiarity with small scale portolans of the Mediterranean, his book being designed to overcome their shortcomings. The contents of Kitab-i Bahriye are organised in chapters, 132 of them in the first version, and 210 in the second. Each is accompanied by a map of the coast or the island in question. The book includes beautiful maps and charts of the island of Khios, the Port of Novograd, the city of Venice, the Island of Djerba, etc. It was, indeed, Piri Reis's recurrent emphasis that text and map complement each other.In places, Piri Reis follows his predecessors who include Bartolomoeo de la Sonetti (himself inspired by previous Islamic sources). On the whole, though, Piri Reis brings many improvements. The copy of the book kept at the Walters Art gallery of Baltimore in the USA (MS W658), which includes sixteen supplemental maps, was the focus of attention by Goodrich. The first four maps are extraordinarily beautiful and map three (folio 40b) is a world map in a double hemisphere. It appears in no other manuscript. Furthermore, this map, Goodrich observes, is very similar to the ‘Mappe Monde' of 1724 by Guillaume de L'Isle. Map Four on folio 41a is an Oval World Map with the Atlantic Ocean in the Center. Goodrich also notes that a later map by Anoldo di Arnoldi dated from 1601 produced as a two sheet world map in the form of an oval projection called Universale descritione del mondo, is almost exactly the same as Piri Reis'. Figure 9: An interesting map of Europe, Mediterranean sea and North Africa from Kitab-i Bahriye by Piri Reis. (Source). The wealth of information in KitabI-Bahriye is demonstrated in the series of articles on the Mediterranean coasts. Four maps are dedicated to the French coast. They cover some important locations such as the city of Nice, or Monaco, which, Piri Reis observes, offers good possibilities for anchorage. Marseilles, its port and coastline, receive greater focus; and from there, it is said, French naval expeditions are organized and launched. The Languedoc region, from Cape of Creus to Aigues Mortes, is inventoried in every single detail: its coastline, water ways, ports, distances, and much more. Kitab-i Bahriye thus offers, not only accurate information to sailors, but also pictures of places from times long gone to readers and researchers. The southern shores of the Mediterranean, however, receive even greater attention in Kitab-i Bahriye. They were the natural base of the Ottomans led by Kemal Reis, and amongst whom was also Piri Reis. The description of the Tunisian coast, in particular, deserves thorough consideration. It was the subject of several studies by Mantran and Soucek. The latter uses the term Tunisia but recognises that Ifriqyah is more correct, as the focus stretches from Bejaia (today‘s Algeria in the West) to Tripoli (Libya) in the east. At the time, though, both places were under rule of the Hafsid dynasty. Figure 10: Map of Crete in Kitab-i Bahriye by Piri Reis (Source: from Kitab-i Bahriye image gallery). The Muslims of North Africa, as a rule, welcomed the Ottomans not as aliens but as allies. At the time, the inhabitants of North Africa were, indeed, under constant threat of attacks by European pirates. Turkish seamen used those southern shores to rest between their expeditions to the north and to the West, and often wintered in one of the harbours or islands, and this is how Piri Reis became familiar with these shores. Describing Bejaia, Piri Reis states that it was a handsome fortress situated on a pine tree covered mountain slope with one side on the shore. The city's ruler was called Abdurrahman, related to the Sultan of Tunis, a family descendant from 'Umar Ibn al-Khatab. He observes that among all the cities of the Maghreb, none would offer a spectacle comparable to it. Piri Reis must have seen the Hammadite palaces and been so impressed by them before they were destroyed by the Spaniards when they took the city in 1510. When this occured, th Spaniards forced the population to flee to the mountains, settled part of it, and razed the rest. Piri Reis moves onto Jijel and the region around, noting that it was under the rule of Bejaia (before the Spanish take over), under the protection of Aroudj Barbarosa. Further to the east, his attention is caught by Stora (now part of Skikda), its ruined fortress, and the large river which flows in front of its harbour, its water, he notes, tasting like that of the Nile. Before crossing into today's Tunisia, Piri Reis notes the presence of lions in the Bone (Annaba) region, people often falling victims to their hunger. Piri Reis begins his exploration of Tunisia proper with Tabarka, drawing attention to the safe anchorage is on the western side, where it was navigable, and water deep enough. South of the island of Calta (Galite), he notes great danger when southern winds blow. The island, he points out, has exceptionally good quality water ‘tasting of rose-water', and includes innumerable flocks of wild goats. Bizerte, on the other hand, impresses by its sturdy fortress, its good port for anchorage, and abundance of fish. Figure 11: Representation of Venice in Kitab-i Bahriye by Piri Reis (Source: from Kitab-i Bahriye image gallery). Further on, at Tunis, great interest is in its climate, commerce, its rulers and their rivalries. The city has fifty thousand houses, each ‘resembling a sultan's palace‘, and orchards and gardens fringe the city. In each of these gardens, were villas and kiosks, pools and fountains, and the scent of jasmine filling the air. There were water wheels, too, and so many fruits people hardly paid any attention to them. The city was visited by Venitian and Genoese traders, their ships loading with goods before departing; their site of anchorage in the port was located nine miles in front of the city. 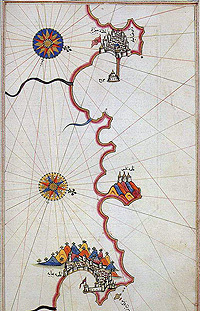 Piri Reis points out that the harbour of Tunis itself is a bay which opens toward the north, and anchorage is seven fathoms deep, the bottom even, and the holding ground good. Further safety of the port is secured from enemy fleets by the means of a tower with a canon guarding it. Continuing to Sousse, he points to the large fortress on the coast facing the North East; in front of it is a harbor built by ‘infidels'; a man made breakwater, as in the Khios harbor, protecting it on the outer side. Water, however, is too shallow for large vessels. The island of Kerkena offers excellent anchorage conditions regardless of the severity of the sea storms; hence an ideal place for wintering. The same goes for Sfax. Around Kerkenna, however, he notes, there is the constant threat of European pirates, especially where waters are deep enough to allow the incursion of their large boats. Figure 13: Map of Sicily in Kitab-i Bahriye by Piri Reis (Source: from Kitab-i Bahriye image gallery). The island of Djerba, of all places, attracts most attention. Piri Reis goes into the detail of its people, history, customs, economy, and, of course, of the sailing conditions close and around the island, including anchorage, nature of currents, tides, and risks to sailors. The attention focused on Djerba is the result of his earlier experiences, when, with his uncle Kemal, he rescued Muslim and Jewish refugees expelled from Spain following the Christian Re-conquest. In his description of Libya, his focus falls on Tripoli, its history, commerce, and its thriving port. He indicates how to sail there using a mountain as landmark. Anchorage at the city port is good, he notes, three islets on the northern side of the harbour, cutting down the wind velocity. However, by the time he was describing the city, it had already fallen into Spanish hands, something that grieved him much. His grief was compounded of the place, that of fellow companion seamen, and above all the destruction of the city fortress. He notes that in the Maghreb, no fortress was as handsome as Tripoli's, all its towers and battlements as if cast from bee's wax, and the walls painted in fresh lime. The fortress had fallen on July 25, 1510; and so much joy there was in Spain as in the rest of Christendom, that Pope Julius II went on a procession of thanks giving. Figure 14: Drawing of Granada in Spain and its surrounding region in Kitab-i Bahriye by Piri Reis (Source: from Kitab-i Bahriye image gallery). Figure 15: Drawing of the cities of Algiers and Bejaia in Kitab-i Bahriye by Piri Reis (Source: from Kitab-i Bahriye image gallery). - Afetinan, A.: Life and Works of Piri Reis: The Oldest Map of America. Ankara: Turkish Historical Society, 1987, 2nd edition. - Allibert. C: "Une Description Turque de l'Océan Indien au XVIèm Siècle: L'Océan indien Occidental dans le Kitab-i Bahriye de Piri Reis", Etudes Océan Indien, 10 (1988), pp. 9-51. - Babinger, F.: "Piri Reis", in Encyclopaedia of Islam, first edition (1913-30), vol. 6, Leiden: Brill, pp. 1070­-71. - Bausani, A.: "L'Italia nel Kitab-iI-Bayriye di Piri Reis", Il Vetro: Rivista della Civilta Italiana, 23 (1979), pp. 173-96. - Bausani, A.: "La Sardegna nel Kitâb-i Bahriyye di Piri Reis", Geografia, vol. 2 (1980), pp. 71-79. 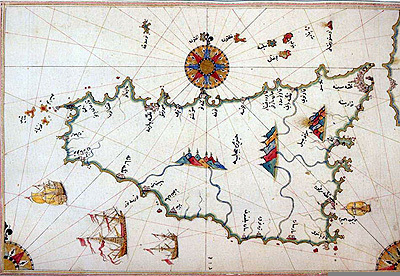 - Bausani, A.: "La costa italiana del Tirreno, da Civitavecchia a Ischia, nel portolano di Piri Reis (1521-1527)", in Rasa'il: In memoria di Umberto Rizzitano. Palermo: Samandar, 1983, pp. 53-63. - Bausani, A.: "Le coste della penisola salentina nel portolano di Piri Reis", in Studi in onore di Francesco Gabrieli nel suo ottantesimo compleanno, a cura di Renato Train. Roma: s.n. [Don Bosco], 1984, pp. 53-59. - Bausani, A.: "La costa Muggia-Trieste-Venezia nel Portolano (1521-27) di Piri Reis", in Studi arabo-islamici di onore di Roberto Rubinacci nel suo settantesimo compleanno, a cura di Clelia Sarnelli Cerqua. Napoli: s.n. [Arte Tipografica], 1985 , pp. 65-69. - Bausani, A.: "Venezia e l'Adriatico in un portolano Turco", Venezia e l'Orientea. Atti del XXV Corso Internazionale di alta cultura, a cura di Lionello Lanciotti, a cura di L. Lanciotti. Florence: Olschki, 1987, pp. 339-52. - Bausani, A.: "La Costa Muggia-Triesto-Venezia nel portolano (1521-27) di Piri Reis", Studi Arabo-Islamici, a cura di C. Sarnelli Lergua. Naples: Istituto Universitario Orientale, 1985, (1988), pp. 65-9. - Brice, W., and Imber, C.: "Turkish Charts in the Portolan Style", The Geographical Journal, 144 (1978), pp. 528-29. - Brice, W.: Early Muslim Sea-Charts, in The Journal of the Royal Asiatic Society, 1977, pp. 53-61. 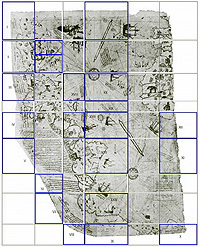 - Cuoghi, Diego: I Misteri della mappa di Piri Reis, in Gli enigmi della storia, a cura di Massimo Polidoro, Edizioni Piemme, 2003; English translation by Roberto Patriarca and James Gill The Mysteries of the Peri Reis Map (retrieved 13.01.2010). - Deissmann, Adolf: Forschungen und Funde im Serai: Mit einem Verzeichnis der nichtislamischen Handscriften im Topkapu Serai in Istanbul, Berlin: Walter de Gruyter, 1933 . - Dutch, Steven: The Piri Reis Map (Natural and Applied Sciences, University of Wisconsin - Green Bay) (retrieved 12.01.2010). - Esin, E.: "La Géographie Tunisienne de Piri Reis", Cahiers de Tunisie, 29, (1981), pp. 585-605. - Goodrich, Thomas D.: The Ottoman Turks and the New World. Wiesbaden, 1990. - Goodrich, T. D.: "Supplemental maps in the Kitab-i bahriye of Piri Reis", Archivum Ottomanicum (Wiesbaden), vol. 13 (1993-4), pp. 117-35. - Haase, Claus-Peter, An early version of Piri Reis' naval charts, in Scribes et manuscrits du Moyen-Orient, edited by François Déroche and Francis Richard, Paris, 1997, pp. 266-279. Online version on Islamic Manuscripts (Jan Just Witkam, Professor of Paleography and Codicology of the Islamic world in Leiden University, Leiden, The Netherlands): An early version of Piri Reis" naval charts (retrieved 23.01.2010). - Hapgood, C.: Maps of the Ancient sea Kings. Philadelphia, 1966. - Harley, J. B., and Woodward, D.: The History of Cartography; vol. 2, book 1: Cartography in the Traditional Islamic and South Asian Societies. The University of Chicago Press, Chicago/London, 1992. - Hess, A. C.: "The Evolution of the Ottoman Seaborne Empire in the Age of Oceanic Discoveries, 1453-1525", The American Historical Review, vol. 75, 1969-70, pp. 1892-1919. - Inan, Afet: Life and Works of Pirî Reis: The Oldest Map of America. Ankara, 1975. - Kahle, Paul: Die verschollene Kolumbuskarte von 1498 in einer türkischen Weltkarte von 1513. Berlin/Leipzig 1933. - Kahle, Paul (editor): Piri Re'îs. Bahrîje. Das türkische Segelhandbuch für das Mittelländische Meer vom Jahre 1521. Berlin 1926, 2 vols. - Longworth Dames, M.: "The Portuguese and Turks in the Indian Ocean in the 16th Century", Journal of the Royal Asiatic Society, 1921, pp. 1-28. - Mantran, R.: La Description des côtes de l'Algérie dans le Kitab-i Bahriye de Piri Reis", Revue de l'Occident Musulman (ROM), Aix-en-Provence, vol. 15-16, 1973, pp. 159-68; vol. 23-24 (1977), pp. 223-35. - Mantran, R.: "Description des côtes méditérranéennes de la France dans le Kitab-i Bahriye de Piri Reis", Revue de l'Occident Musulman (ROM), vol.39 (1985), pp. 69-78. - Mantran, R.: "La Description des côtes de l‘Egypte de Kitabi- Bahriye", Annales islamologiques, vol. 17, 1981 pp. 287-310. - McIntosh, Gregory C.: The Piri Reis Map of 1513. Athens and London: University of Georgia Press, 2000. - Mesenburg, Peter: "Kartometrische Untersuchung und Rekonstruktion der Weltkarte des Piri Re'is (1513)", Cartographica Helvetica, No. 24 (2001), pp. 3-7. - [Piri Reis], Kitab-i Bahriye, edited by Ertugrul Zekai Okte, translated by Vahit Cabuk, Tulay Duran and Robert Bragner. Historical Research Foundation-Istanbul Research Centre. Ankara: Ministry of Culture and Tourism of the Turkish Republic, 1988-91, 4 vols. - Ross, E. D.: "The Portuguese in India and Arabia between 1507 and 1517", in Journal of the Royal Asiatic Society, 1921, pp. 545-62. - Ross, E. D.: "The Portuguese in India and Arabia 1517-38", Journal of the Royal Asiatic Society, 1922, pp. 1-18. - Shirley, Rodney W.: The Mapping of the World: Early Printed World maps (1472-1700). London: The Holland Press, 1984. - Soucek, S.: "Piri Reis", Encyclopaedia of Islam, New edition. Leiden: Brill, 1995, vol. 8, pp. 308-09. - Soucek, Svat: "A propos du livre d'instructions nautiques de Piri Reis", Revue d‘études islamiques, vol. 41(2), 1973, pp. 241-55. - Soucek, S.: "Islamic Charting of the Mediterranean", in The History of Cartography, edited by J.B. Harley and D. Woodward; vol. 2, book 1: Cartography in the Traditional Islamic and South Asian Societies. The University of Chicago Press, Chicago/London, 1992, pp. 263-92. - Soucek, S.:" Tunisia in the Kitab-i Bahriye of Piri Reis", Archivum Ottomanicum, vol. 5 (1973 ), pp. 129-296. - Soucek, S.: Piri Reis and Turkish Mapmaking After Columbus: The Khalili Portolan Atlas. Studies in the Khalili Collection, vol. 2. London: The Nour Foundation and Azimuth Editions, 1992. Reprint New York: The Nour Foundation, Azimuth Editions and Oxford University Press, 1996. - Tekeli, S.: "Piri Reis", Dictionary of Scientific Biography. Charles Scribner's Sons, New York, 1974, vol. 10, pp. 616-19. - Tooley, R.V. : French Mapping of America. London: Map Collector‘s Circle, 1967. [2.] See For instance M Longworth Dames, "The Portuguese and Turks in the Indian Ocean in the 16th century", Journal of the Royal Asiatic Society, 1921, pp. 1-28; E. Denison Ross, "The Portuguese in India and Arabia between 1507 and 1517", The Journal of the Royal Asiatic Society of Great Britain and Ireland, No. 4 (October 1921), pp. 545-562; E. D. Ross, "The Portuguese in India and Arabia, 1517-38", The Journal of the Royal Asiatic Society of Great Britain and Ireland, No. 1 (Jan., 1922), pp. 1-18. [3.] A. C. Hess, "The Evolution of the Ottoman Seaborne Empire in the Age of Oceanic Discoveries, 1453-1525", The American Historical Review, vol. 75, 1969-70, pp. 1892-1919; p. 1892; W.Brice, and C. Imber, "Turkish Charts in the Portolan Style", The Geographical Journal, N° 144, 1978, pp. 528-529; p. 528. [4.] A. C. Hess, "The Evolution of the Ottoman Seaborne Empire in the Age of Oceanic Discoveries", op. cit., p. 1911. [5.] T. D. Goodrich, The Ottoman Turks and the New World, Wiesbaden, 1990. [6.] S. Soucek, "A Propos du livre d'instructions nautiques de Piri Reis", Revue d‘Etudes Islamiques, vol. 41, 1973, pp. 241-55; p. 242. [7.] More details on Piri Reis' life and achievements can be found in the voluminous literature about him in the recent publications. See among other specialised articles: Franz Babinger, "Piri Reis", in Encyclopaedia of Islam, First Edition, Leiden, Brill, 1936, vol. 3, pp. 1070-071; Sevim Tekeli, "Piri Reis", Dictionary of Scientific Biography, New York, Charles Scribner's Sons, New York, 1974, pp. 616-9; Paul F. Hoye and Paul Lunde, Piri Reis and the Hapgood Hypotheses, Saudi Aramco World, vol. 31(1), January/February 1980, pp. 18-31; S. Soucek, "Piri Reis", Encyclopaedia of Islam, New edition, Leiden, Brill, 1995, vol. 8, pp. 308-9; Sevim Tekeli, Earliest Maps of America (published 01 April 2005; read the full article in PDF). [8.] S. Soucek, "Islamic Charting of the Mediterranean", in Cartography in the Traditional Islamic and South Asian Societies, edited by J. B. Harley and D. Woodward, Chicago: University of Chicago Press, 1992, vol. 2, book 1, pp. 263-272. [9.] P. Khale, Die verschollene Columbus-Karte von 1498 in einer turkishen Weltkarte von 1513 [The Lost map of Columbus from 1498 in a Turkish world map dated 1513], Berlin, 1933. [11.] See Charles Hutchins Hapgood, The Piri Reis Map of 1513 (Evanston, Ill., Clark, 1962) and Maps of the Ancient Sea Kings: Evidence of Advanced Civilization in the Ice Age (Philadelphia, 1966; paperback reprint Adventures Unlimited Press, 1997). This claim has not been validated and other scientists rejected Hapgood's claim: see Garrett G. Faganéd, Archaeological Fantasies: How Pseudoarchaeology Misrepresents the Past and Misleads the Public, London and New York, Routledge, 2006, pp. 30, 34 ff. [12.] J. B. Harley and D. Woodward, The History of Cartography, vol. 2, book 1, Cartography in the Traditional Islamic and South Asian Societies), The University of Chicago Press, Chicago London, 1992. [13.] P. Kahle, Die verschollene Columbus-Karte von 1498, op. cit., p. 4. [14.] P. Kahle, Piri Reis, Bahriye, Berlin, 1926, 2 vols. [15.] S. Soucek, "Islamic Charting of the Mediterranean", in The History of Cartography, vol. 2, book 1, edited by J. B. Harley and D. Woodward, op. cit., , pp. 263-92. [16.] Robert Mantran, "La Description des côtes de l'Algérie dans le Kitab-ı Bahriye de Piri Reis", Revue de l'Occident Musulman, Aix en Provence, vol. 15-16, 1973, pp. 159-68; R. Mantran, "La Description des côtes de la Tunisie dans le Kitab-i Bahriye de Piri Reis", Revue de l'Occident Musulman, vol. 23-24, 1977, pp. 223-35; R. Mantran, "Description des côtes méditeranéennes de la France dans le Kitab-i Bahriye de Piri Reis", Revue de l'Occident Musulman vol. 39, 1985, pp. 69-78; R. Mantran, "La Description des côtes de l'Egypte dans Kitab-i Bahriye", Annales Islamologiques, vol. 17, 1981, pp. 287-310. [17.] E. Esin, "La Géographie Tunisienne de Piri Reis", in Cahiers de Tunisie, vol. 29, 1981, pp. 585-605. [18.] S. Soucek, "Tunisia in the Kitab-ı Bahriye of Piri Reis", Archium Ottomanicum, vol. 5, 1973 , pp. 129-296. [19.] A. Bausani, "L'Italia nel Kitab-i Bhyriye di Piri Reis", Il Vetro, 23 (1979), pp. 173-96. [20.]A. Bausani, "Venezia e l'Adriatico in un portolano Turco", Venezia e l'Oriente, a cura di L. Lanciotti, Florence: Olschki, 1987, pp. 339-52; A. Bausani, "La Costa Muggia-Triesto-Venezia nel portolano (1521-27) di Piri Reis", Studi Arabo-Islamici, a cura di C. Sarnelli Lergua, Naples: Istituto Universitario Orientale, 1985, pp. 65-9. [21.] C. Allibert, "Une Description Turque de l'Océan Indien au XVIème Siècle: L'Océan indien Occidental dans le Kitab-ı Bahriye de Piri Reis", Etudes Océan Indien, vol. 10, 1988, pp. 9-51. [22.] T. D. Goodrich, "Supplemental Maps in the Kitab-ı bahriye of Piri Reis", in Archivum Ottomanicum, Wiesbaden, vol. 13, 1993-4, pp. 117-35; p. 119. [23.] Kitab-ı Bahriye, Piri Reis, edited by Ertugrul Zekai Okte, translated by Vahit Cabuk, Tulay Duran, and Robert Bragner, Historical Research Foundation, Istanbul Research Centre, Ankara: Ministry of Culture and Tourism of the Turkish Republic, 1988-91, 4 vols. [24.] P. Kahle, Die verschollene Columbus-Karte von 1498, op. cit., p. 2. [25.]T. Goodrich, "Supplemental Maps", op. cit., p. 116. [27.] S. Soucek, "Islamic Charting of the Mediterranean", op. cit., p. 272. [28.] T. Goodrich, "Supplemental Maps", op. cit., p.117. [29.] A. Soucek, "A Propos du livre d'instructions nautiques de Piri Reis", op. cit., pp. 244-45; A. Soucek, "A Propos du livre d'instructions nautiques de Piri Reis", op. cit., pp. 244-45. [30.] A.C. Hess, "The Evolution "The Evolution of the Ottoman Seaborne Empire in the Age of Oceanic Discoveries", op. cit. [31.] S. Soucek, "A Propos du livre d'instructions nautiques de Piri Reis", op. cit., p. 242. [32.] T. Goodrich, "Supplemental Maps", op. cit., p.117. [33.] W. Brice, "Early Muslim Sea-Charts", The Journal of the Royal Asiatic Society, 1977, pp. 53-61; p.56. [34.] P. Kahle, Die verschollene Columbus-Karte von 1498, op. cit., p. 2. [35. ]Quoted in W. Brice and C. Imber, "Turkish Charts", op. cit., p. 528. [37.] S. Soucek, "Islamic Charting in the Mediterranean", op. cit., pp. 277-80. [40.] T. Goodrich, "Supplemental Maps", op. cit., p. 120. [42.] See R. V. Tooley, French Mapping of America, London: Map Collector‘s Circle, 1967. [43.] T. Goodrich, "Supplemental Maps", op. cit., p.122. [44.] See Rodney W.Shirley: The Mapping of the World. Early Printed World maps 1472-1700, London, The Holland Press, 1984, N° 228 and plate 180. [45.] R. Mantran, "Description des côtes méditerrannéenes de la France", op. cit. [46.] R. Mantran, "La Description des côtes de la Tunisie", op. cit. ; S. Soucek, "Tunisia in the Kitab-ı Bahriye of Piri Reis", op. cit. [47.] S. Soucek, "Tunisia in the Kitab-ı Bahriye of Piri Reis", op. cit., p. 132, note 16. [48.] Soucek notes that with respect to the Tunisian coast, the first version of the Kitab is much richer than the second: Ibid, p. 130. [50. ]Ibid, p. 151. Bejaia was to be retaken forty five years later in 1555 by Salah Reis, Bey of Algiers, but it never regained its former glory. [51.]S. Soucek, "Tunisia in the Kitab-ı Bahriye of Piri Reis", op. cit., p. 157. [54.] Ibid, pp. 185, 197. [59.] Ibid, pp. 219, 221, 235. [61.] S. Soucek, "Islamic Charting of the Mediterranean", op. cit., p. 267. [62.] S. Soucek, "Tunisia in the Kitab-ı Bahriye of Piri Reis", op. cit., pp. 273-285. [64.] Note 8, p. 287 in Soucek., Source Sanuto Diarii, v, fol.109. The city was retaken from the Spanish in 1551 by Sinan Pasha and Turgut. *The original article was produced by Salah Zaimeche, Salim Al-Hassani and Ahmed Salem. The members of the new FSTC Research Team have re-edited and revised this new version. The team now comprises of Mohammed Abattouy, Salim Al-Hassani, Mohammed El-Gomati, Salim Ayduz, Savas Konur, Cem Nizamoglu, Anne-Maria Brennan, Maurice Coles, Ian Fenn, Amar Nazir and Margaret Morris.